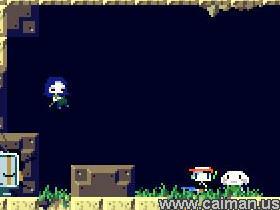 Caiman free games: Doukutsu Monogatari (Cave story) by Pixel. This is an excellent adventure / platformer, where you control a little robot who is trying to save mimigas (creatures which are similar to rabbits) from the bad doctor. 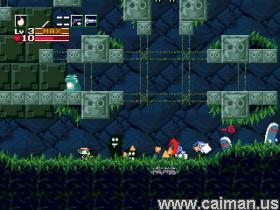 During the game you will have to find some various items which will help you to access new levels or save mimigas. You will also find life capsules which increase your maximum health. 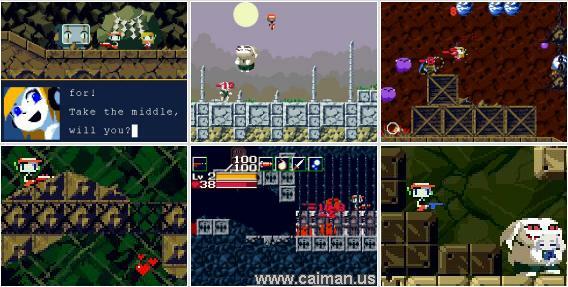 There are also at least 5 weapons available throughout the game. Authors download page (Japanese) . Download Japanese version (LZH - no install) 967 kB. Download English patch 394 kB.